All our Malay translators are certified by either ITBM or the PPM/MTA, organizations that regulate Malay translations. We currently have over 400 native Malay translators working with us who are readily available on quick notice. Each linguist has their own area of specialization such as Marketing, I.T, Legal, Finances/Banking, Travel & Hospitality, Safety Field, Health & Fitness. We typically assign both a translator and an editor for all processed content. This enables us to provide a high-quality Malay translation service, fit for corporations, businesses, NGOs and institutes. Translating Malay (Melayu) language, or Bahasa Malay as it’s called in Malaysia, is relatively straightforward in comparison to other languages. Today it’s estimated Malay is spoken by over 290 million in Malaysia, Brunei, Indonesia and Singapore, making it in the list of top 10 languages spoken in the world! Malay is remotely related to English and origins in the Austronesian family of languages. The Malay standardized official alphabet is called Rumi and consists of 26 Latin-based characters that work well for localization on various program platforms, documents, subtitles, websites or media. VEQTA Translations can provide English to Malay translation or Malay to English or Malay to Mandarin. We can also translate Thai to Malay or other combinations. We provide an accurate Malay translation which is relevant to the specific target audience in different industry fields; our best practices involve using experienced Malay translators in Malaysia with native language proficiency and Subject-Matter Experts with both local and international experience for global solutions suited for clients and customers worldwide. Our Malay Translators are qualified to provide a carefully created high-quality Malay translation and have a large vocabulary to convey and express the same intent and thought in Malay as in the source document. Typically our skilled Malay translators have formal qualifications in translation or language studies and are certified from either ITBM or MTA (Malaysian Translators Association). The ITBM is a translators association managed by the Ministry of Education in Malaysia and functions as a training center and linguistic resource center for languages and skills improvement for Malay translators, editors, interpreters and professional language providers.Translators working daily with malay translations may have formal academic degree qualifications in relevant fields such as Translation Studies, applied linguistics in Bahasa Malay, dialectology (the study of dialects), phonetics, grammar, syntax, and computational linguistics. Professional Malay editors of including linguists that translate Malay to Chinese or from Malay to other languages than English, often have additional industry experience in the actual topic and have studied the subject and topic of the source text writing and knows definitions of both common words and correct linguist industry technical terminologies. The relevant industry experience enables the translator to apply the correct tone and style, understand the jargon and industry terms needed, and knowledge of which lexicons or industry terminology references to use. All these factors create a high-quality outcome which makes the translation relevant and facilitates the clients’ communication – or access to the intended market. Some of these include industry references and dictionaries published by the National Language and Literature Bureau (DBP) which is a Government body in Malaysia responsible for coordination and best use of Bahasa Malay and literature in Malaysia. More information on best practices of Malay terminology management and term-base and glossary creation. In Malaysia, the national language is referred to as Bahasa Malaysia or Bahasa Melayu. The official name of the language was renamed to the latter in 1986 to create a sense of belonging for Malays of all ethnicities but the name was changed back to Bahasa Malaysia in 2007. In Malaysia, there is no difference between these two names for the same language. In Indonesia, Bahasa Indonesia is referring to a standardized register of Malay which is the official language in Indonesia. Also in Indonesia Bahasa Malay is referring to the standardized register of Malaysia which is the official language of Malaysia. However, in Indonesia Bahasa Melayu refers to the indigenous languages spoken by ethnic Malays in Indonesia. In terms of its structure and grammar Malay does not pose a challenge when translating to or from English. Bahasa Malay uses many prefixes and suffixes. In Malay basic words can form a different meaning by adding additional affixes and many find it quite easy to master its grammar and syntax. Bahasa Malay is not a tonal language so for westerners hearing it for the first time its quite straightforward as they can distinguish between words quite easily as words by large are pronounced exactly the way it’s written and spelled, unlike many languages. The Malay alphabet is referred to as ‘Rumi’ and was introduced around the 16h century CE. It consists of 26 Latin-based letters and is the national writing system in Malaysia. The old traditional script for Malay is known as ‘Jawi’ and used to be the standard script for Malay until it was replaced by Rumi. Jawi is a variant of Arabic script which is still one of two recognized writing systems in Brunei. The word Jawi comes from the Arabic word ‘Jawah’ which originated from the ancient name for Java called Javadwipa, a collective Arabic term to describe the maritime Southeast Asia region. Jawi is popular in more conservative geographic areas such as Kelantan, part of Brunei, Indonesia and Pattani (Thailand’s deep south) where it’s often used in Islamic textbooks and taught in primary schools, mosque schools as well as some Government use such as road and building signs or administrative systems which is why there is also a support for Jawi in software using the Jawi keyboard layout is based on existing Arabic keyboard layout and standardized by SIRIM (Standard Malaysia) and its Technical Committee in Multi-Lingual Computing a and is still supported by Microsoft Windows. 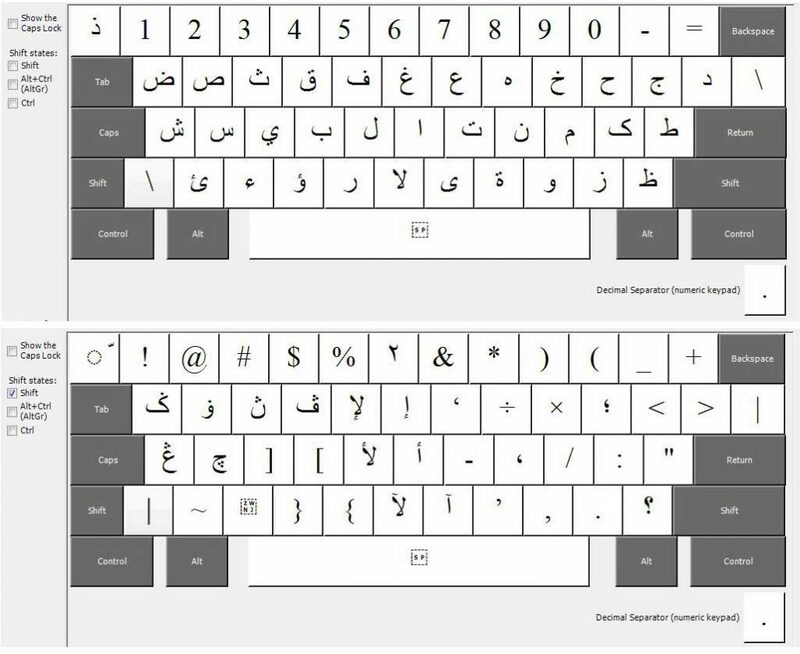 Jawi consists of 40 characters and writes right to left just like Arabic but its characters are more isolated and its glyphs are more centered. The Patani Malay (PM) is spoken by more than 1 million people in Thailand’s most southern provinces on the Thai Malay border. VEQTA Translates both from Malay to Thai and can also translate Thai to Malay. Bahasa Malaysia has many loan words from Sanskrit, Latin, Tamil/Telugu and Dutch and Portuguese which was introduced during Malacca development as an international trading port which allowed the language to evolve. Read more on how the language evolved: Translation Bahsa Malay – a look back. The language continued to be influenced by Arabic through the Holy Quran for religious terms. The language also has been influenced by Chinese dialects due to Chinese settlement and migration patterns. Malay translators who are perfectly bilingual English and Malay can also attest that many Malay words, especially for scientific translation and technical translation services , are borrowed from English and both Bahasa Malay and Bahasa Indonesian have many similarities in common between all three languages. Malay originally comes from the Austronesian family of languages and old ‘Classic Malay’ origins from a diverse array of dialects which can be traced back to different Malay kingdoms. The evolution of Malay can be divided into 3 stages, namely: Old Malay > Classical Malay > Modern Bahasa Malay. The official language today is referred to as Modern Bahasa Malay. Bahasa means ‘language’ and ‘Melayu’ means ‘Malay’. Today Malay is not only spoken in Malaysia but also in Brunei, South Thailand, Singapore, Indonesia and the Philippines. Manglish or Bahasa Rojak is influenced by Malay, Chinese, and Tamil and is Malaysia’s own unique English. It’s not encouraged for official purposes by the Malay Government but it’s noteworthy to be aware of it.Read more on Manglish. Our translation firm in Kuala Lumpur has a wealth of experience providing Malay translation services and malay localization for businesses, Governments, non-profit organizations, corporations, institutes, NGOs, , firms and organizations across all major industries such as Tourism, Travel, Hospitality, Marketing, Advertising, Medical, Legal, IT, Heavy Industries, Manufacturing, Engineering, Food Industry, Aviation, Automotive. The team provides professional document translation services including translation of corporate agreements, legal content, court material such as witness testimonials, pharmaceutical content, marketing plans, websites, content for manufacturing and heavy industries such as mining, steel processing, oil and gas or railways, and Safety Data Documentation (SDS). Our translation agency in Malaysia translate a lot of content in Malay for the Information Technology industry (I.T, SAP, ERP, Cloud-based software) as well as content for Human Resources, financial translation services, Accounting, Travel and the Hospitality industry. Our linguists are terminology Subject Matter Experts (SME) and we use quality assurance tools to manage consistency of translation as well as industry terminology references and purpose-built glossaries and style guides with jargon terms or phrases. All our language professionals have been carefully vetted through rigorous language testing programs. They all hold formal academic qualifications with a minimum of Bachelor Degree in a related field as well as certification by the ITBM. Our translators in Kuala Lumpur have native language proficiency skills and our translation company observe best practices for all our translation projects. Our translation company in Kuala Lumpur is connected to the vibrant Malay translator community in the heart of Malaysia and together we collaborate with educational providers, corporate clients, NGOs, Universities and research institutes for translation. We currently have around 420 linguists in Malaysia, Singapore, Indonesia and the South East Asian region ready to support your project and deliver a perfect result. What language do Malaysians speak? The best translation industry practice for all Malay linguists offering Malay Translation Services and who translate Malay includes the use of CAT Tools (Computer Aided Translation) for a clear and excellent outcome. The CAT tool is software that helps the translator creating a consistent translation by storing translation as segments in a database for ease of retrieval later and for quality checking. Use of CAT Tools is considered best practices because its ability to store translation in so-called Translation Memories gives the best result as the throughput becomes consistent and legacy translation can be applied by the translator to future files for efficient terminology management. We translate for corporate clients such as Samsung, Canon, Fujitsu, Xerox and other Fortune 500 companies. Our clients come to us for second to none quality which is why we follow a proven 4 step quality assuring processes throughout the whole project lifecycle. Larger companies such as Bank Negara Malaysia which is under our client umbrella may have a more mature approach to their localization process and maintains their own SDL Trados Translation Memory (TM) database in Bahasa Malay. Read more about our Translation Process for both Malay and all the languages we translate. We are unwavering in our commitment to translation excellence in Malaysia as recently seen in our co-sponsorship of the 16th International Conference (PPA) on Translation which will be held in August 2017. The International Conference on Translation (PPA) is a biannual conference organized by the Universiti Malaya (University of Malaya) in conjunction with the Malaysian Translators Association (MTA), The Malaysian Institute of Translations and Books (ITBM), The Institute of Language and Literature (DBP) and Perbadanan Kota Buku (PKB). VEQTA Translations continues to support the translation industry in Malaysia with translation for corporations while also supporting academic translation, white papers and academic papers such journal articles in the field of science, technology, and medicine. The process of Malay internationalization (i18) means preparing the website to function properly when translated to another language, in this case Bahasa Malay. It involves analyzing the back-end properties and ensuring any language-specific assumptions in the code are first ‘neutralized’ and prepared for the next step, localization in Malay. The Malay internationalization process applies to Malay software translation, Malay software testing, and Malay website translation. Considering the diversity and rich cultures in Malaysia a skillful and considerate Malay translator may need to be extra vigilant to ensure cultural appropriateness providing you with a Malaysian translation. The translator role is very important, in fact, a good translation can also translate actions that enhance social understanding and interaction in Malaysia and facilitates public and social understanding, acceptance of people from different culture and practices – which is the social goal of an excellent localization. As with all languages, it’s therefore crucial the Malay localization is not done on a word by word basis but carries out the knowledge of the complete thought of a sentence to give rightful meaning. When translating for the Malaysia locale the translator needs to consider best practices of Malay linguistics, Malay style guides, Malay grammar and syntax, Malay termbases, Malay lexicons, Malay industry references for an accurate result. Providing relevant translated material which provides a great Return on Investment (ROI) and is properly translated and localized for the Malay target market. Translating material in various formats such as PDFs, word, InDesign, illustrator, Spreadsheets and localized graphics. Authorware presentations with interactive multimedia, subtitles, and audio. Localizing Malay platforms; HTML web browsers displayed in Malay or more complex platforms such as dynamic database driven Malay content. Best processes for localize Malay eLearning content, SCORM compliant e-learning courses, or Learning Management Systems (LMS). Localizing and testing your website for Malaysia, language revision, screen capturing and Linguistic Quality Assurance Checking. Checking software interface, build authoring environment/instructions, menus. Platforms may be standalone applications, cloud-based software, Software as a service SAAS, plug-ins, third-party script testing. Assessing dynamic and hardcoded literals and resource files such as EXE, DLL, CPP, RC, RC2 etc. Assessment of original files and third-party applications and components. Assessment of test plans and test scripts. Online help source files, RTF, VBS, HTML, XML, UA/UI strings, graphics. Malay usability, review and Functional testing. A certified translation in Malaysia of content from English to Bahasa Malay or Bahasa Malay to English refers to content that has been translated by a translator who has obtained a certification from either ITBM (Institut Penterjemahan dan Buku Malaysia) or from PPM/MTA which is the Malaysian Translators Association. For certified documentation into foreign languages, individual embassies may have their own panel of preferred translators or guidelines which would need to be confirmed with the embassy of that country as it may get updated from year to year.A certified translation can also be a translation provided by a court translator that has been sworn in by a court in Malaysia. The only 2 institutes that have the authorities in Malaysia to issue a seal of translation are the ITB and MTB. The translation received needs to be stamped (embossed) with their seal to be officially certified. Our suite of services includes translating a vast variety of types of documentation into Malay in specialized fields such as listed below. Contract of sale, commercial lease agreement, lease Application, land title, lease application, lease assignment, lease termination, sublease Agreement, tenant removal form, lease renewal and mortgage deed. Architecture, Blueprints, Code and development documentation, document plan API or SDK Documentation, engine, engineering documents, environmental impact studies, FAQ, fact sheets, installation guide, ISO Documentation, internal development documentation, internet online apps, I.T Manuals, Knowledge-base, operation manuals, product feature documentation, reference guides, release notes, safety data sheets, science, SDS, Service manual, Software Handbook, System administration guide, system overview guide, Troubleshooting documentation, quick start guides, user guides and whitepapers. Interested in finding out more about how the translators manage key terminologies and consistency of translation? Accounting, Annual reports, banking, bank statements, bill of sale, finance, financial statements, IOU, ledgers, loan agreements, offering memorandum, profit and loss statements, promissory note, purchase orders, receipts, stock purchase agreement, tax invoices, warranty bonds. Consultation correspondence, cardiology, family medicine, general medicine, healthcare, health information, medical certificates, medical reports, medicine labels, physical exams, physiotherapy, psychiatry, patient and doctor correspondence and medical journals. Academic transcripts, affidavits, birth certificates, medical consent, cohabitation agreement, CV, diplomas, divorce decrees, driving licenses, employment application, employment reference letter, ID cards, impediment certificates, job applications, immigration, (NAATI), marriage certificates, no Impediment certificates, no claims certificates, passports, personal letters, police clearance CRBs, Power of Attorney, Purchase Agreement, Resume, proxies and statutory declarations.